Austin Wagner scored two goals, and the Los Angeles Kings ended a four-game losing streak with a 4-1 win against the visiting Winnipeg Jets on Tuesday. Alex Iafallo and Nate Thompson also scored, and Jonathan Quick made 27 saves for the Kings, who have the fewest points in the NHL (27). 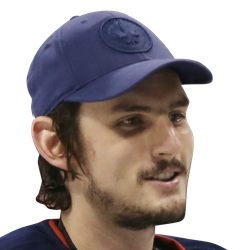 Mathieu Perreault scored a goal for the fifth consecutive game, and Connor Hellebuyck made 27 saves for the Jets, who had won a season-high five consecutive games. Iafallo gave Los Angeles a 2-1 lead at 9:08 of the second period. Kings defenseman Drew Doughty took a tough-angle shot from just above the goal line, and Iafallo redirected the puck into the net just before it hit the inside of the far post. Wagner, a rookie left winger, scored his third NHL goal and second of the game when he finished off a breakaway for a 3-1 lead at 18:08 of the second period. 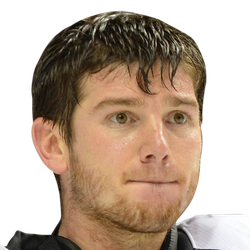 Thompson made it 4-1 with an empty-net goal with 4.5 seconds left in the game. Perreault tied the score 1-1 at 1:52 of the second period. After the Jets won the puck on the forecheck, Bryan Little took a low-percentage shot from just outside the right circle. Perreault stuck out his blade and redirected the puck past Quick on the short side. The Kings briefly thought they went ahead 2-1 with a power-play goal by Jake Muzzin at 5:16 of the second period, but a video review showed they were offside. The Kings took a 1-0 lead at 13:00 of the first period. Wagner started the scoring play on the forecheck before teammate Daniel Brickley flicked the puck toward the Winnipeg net from just inside the blue line. Wagner had skated into the left circle, and he deflected the puck with the bottom of his shaft. The puck hit Hellebuyck in the chest, ricocheted straight up and came down on the goal line. Jets defenseman Josh Morrissey had a chance to sweep the bouncing puck out but whiffed, and the puck wobbled across the goal line.